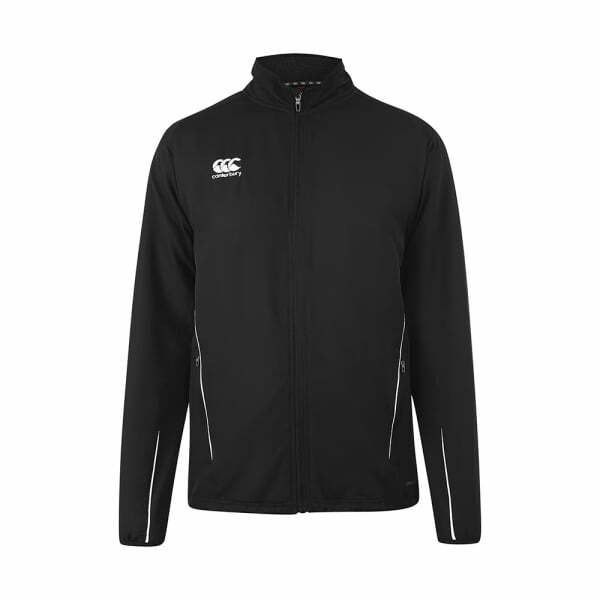 Canterbury’s technical sports apparel provides cutting-edge fabric technologies with style and comfort, and the Team Track Jacket is no exception. This 100% polyester jacket will keep you warm and protected against the elements with its water-resistant and anti-static Vaposhield finish. Maximise your athletic power during training with this jacket’s breathable design, which offers an amazing range of movement and comfort. With its contrast synthetic piping and bound cuff, you’ll stand out amongst your team members and stay stylish, whether you’re heading to the field for some training or hanging with mates after the gym. The jacket’s classic design and embroidered branding reflects the high quality of the product, in the long tradition of Canterbury’s sportswear.